In a recent Guardian interview, Vic Mensa explains his position on Liam and Noel Gallagher. Vic Mensa has been no stranger to controversy lately, taking a subtle jab at Travi$ Scott and upsetting a French MC in the process. Well now, the self-proclaimed "heir to the throne" has British rock icons Oasis in his crosshairs. 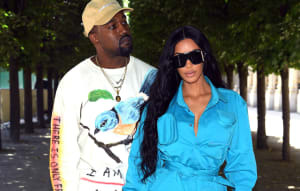 In an interview published in The Guardian today, Mensa took shots at the band's famous sibling duo, specifically their comments about his mentor Kanye West. Responding to a question about West's Glastonbury performance, Vic called Liam and Noel Gallagher "Ultimate dickheads" for their criticism of Kanye. Mensa went further to call the response to his performance "kinda racist." Read Mensa's full Interview at The Guardian.